At 2-3 cm from the auricle, make an oblong incision 5-6cm long and 1.5-2cm wide. Along the deep temporal fascia, separate the skin flap up to the orbital margin and zygomatic arch margin. Anchor the U-shaped cogged thread on to the deep temporal fascia and place the thread in SMAS in the direction of the jawline and nasolabial fold. 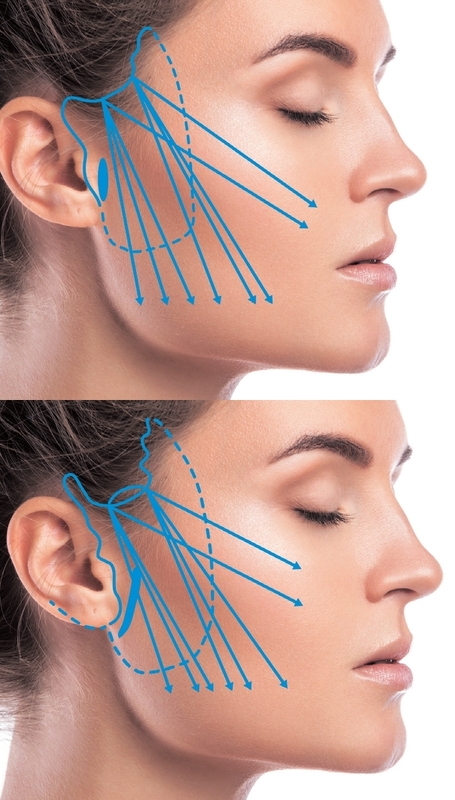 Penetrate through the skin along the line connecting the mouth corner and mandibular angle, pull the thread for lifting and cut the exposed thread. Pull the superficial temporal fascia under the incision posteriosuperiorly using number 3 PDS thread to anchor on to deep temporal fascia and close the incision. 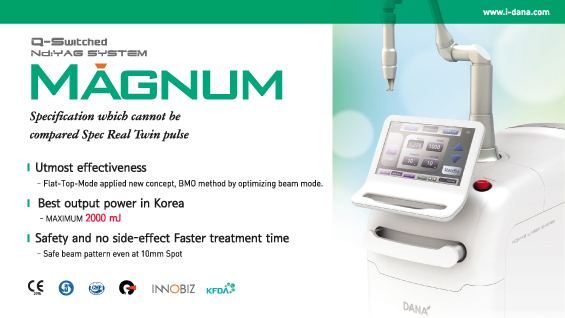 This treatment uses a minimal incision, however, the incision is not visible. 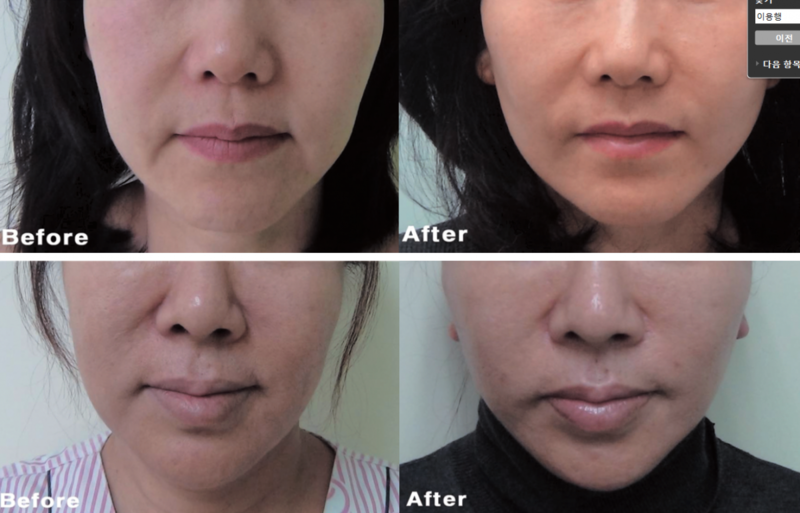 It naturally improves the nasolabial fold and tightens the jawline. It is popular among patients in their 20s and 30s. As shown in Image 4, make an oblong incision 5-6 cm long and 2 cm wide along the occipital hairline or 3 cm from the hairline. Separate the skin flap 4cm anterior and anchor the U-shaped cogged thread on to the occipital fascia and place the thread in the anterior subcutaneous level. Proceed the thread to penetrate through skin at 8 cm from the thread placement. Pull the thread and cut the exposed thread. When the thread is pulled, the separated skin becomes loose. Pull and remove the excess skin and close the incision. This method is effective in mild to moderate sagging of the neck.